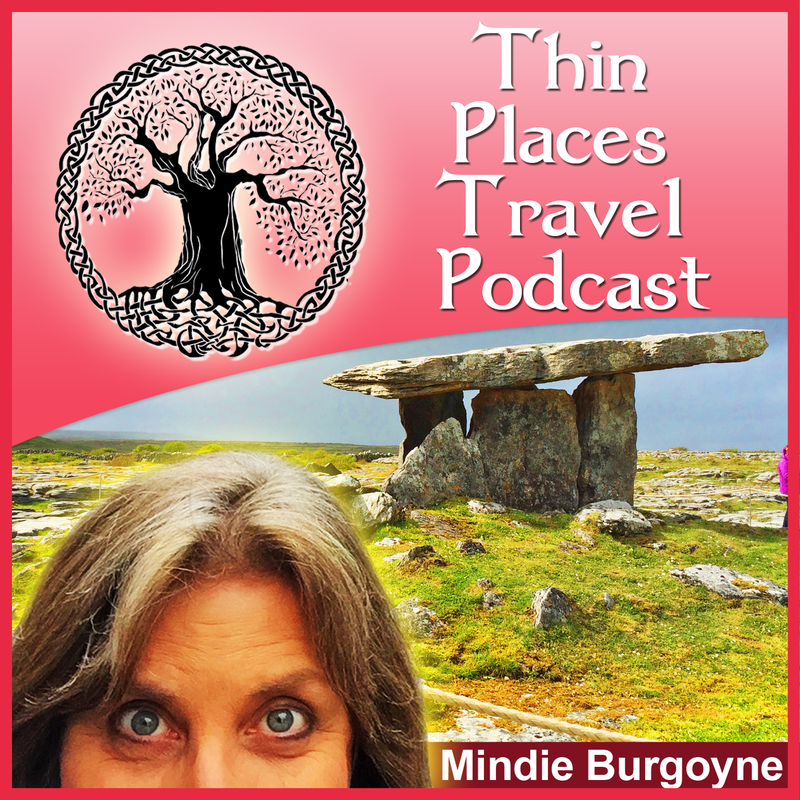 Tour Itinerary for the Western Edges tour to Ireland on May 19-30, 2016. 11-days – 32 sites – 20 groups excursions including Slea Head, Inishmurray, Slieve League, the Burren, Galway City, Connemara, Grange Stone Circle, Lough Gur and the Icon Chapel at Glenstal Abbey. The Itinerary listed below gives a brief overview of the sites and schedule of events. Though reservations have been secured for each venue, there is always the possibility of a change in schedule or unforeseeable circumstances that warrant a change. Therefore, all items are subject to change. All breakfasts are included, lunches are under guest’s own arrangement as are dinners except the four that are noted here. Day 1 – THURSDAY – May 19th – Welcome to Ireland! Guests arrive at Shannon Airport and are transported to their hotel in Ennis. Guests may not be able to check in before the afternoon check in time, but luggage can be stored at the hotel. 2:00 group meeting in hotel lobby followed by a 3 pm visit to Glenstal Abbey in County Limerick where guests will get a private tour of the icon chapel. Then back to the Old Ground hotel for the Welcome Dinner. As we make our way to the northern part of the region we will stop at Thoor Ballylee, the castle – or tower house that W.B. Yeats restored to be a summer home for him and his wife and two young children. It was in this tower that Yeats wrote some of his most beautiful poems, many of which are included in The Tower, a collection Yeats published in 1928. The setting is filled with poetry. Then we’ll tour the grounds of Coole Park, the former estate of Lady Augusta Gregory, a contemporary of W.B. Yeats and many other writers who were part of Ireland’s Literary Revival in the early 20th century. From those stops in County Galway we’ll head into County Mayo and stop at the Knock Shrine – a site where 15 villagers were said to have seen an apparition of the Virgin Mary along with St. Joseph and St. John the evangelist. The site is now the largest pilgrimage site in Ireland. We will end in Sligo where we will spend three nights. Guests will head out in the morning for Glencolmcille – the glen of Colmcille, the patron saint of Donegal. Here guests will explore the many stations along a pilgrim path that is dedicated to the memory of Colmcille who founded a monastery there and take in some the most beautiful views of the “hills of Donegal.” Later visit Slieve League where guests will see the tallest cliffs in all of Ireland and have an opportunity to hike a bit up the mountain, or simply enjoy the views and a cup of tea. Then back to Sligo and those who are up for it will attend “An Evening of Irish Music” at the Hawkswell Theater in Sligo. We’ll head out to the little fishing village of Mullaghmore where you’ll be able to see Classiebawn Castle, the former country house of Lord Mountbatten. Then you’ll board a boat that will head out to the island of Inishmurray and there, our guide Martin Byrne will take you through the old ruins and carved stones and offer wonderful stories about the islanders who once lived there and the ancient Christian and pagan relics that still exist on the island. After returning to Mullaghmore, we stop in Drumcliff to see the remains of an old monastery – including the base of a round tower and a high cross- that was founded by St. Colmcille. You’ll also be able to see W.B. Yeats’ grave resting beneath Benbulben. We’ll say goodbye to the Northwest and make our way to County Mayo where we’ll stop to explore the mystical ruins of Moyne Abbey. Then lunch in the charming fishing town of Ballina on the River Moy and a brief stop to see the ancient dolmen there. Then we’ll head up to Downpatrick Head, an amazingly scenic spot on the north Atlantic, famous for its “stack.” You’ll walk along a gorgeous cliff walk then head to the town of Westport for and check into the Westport Coast Hotel which sits right on the quay in the shadow of Croagh Patrick. We’ll have a group dinner this night. Enjoy the day in the scenic Clew Bay region of County Mayo. You will first visit the ancient Stone of Boheh, said to be marked with spirals that mark the pattern of the sunset over Croagh Patrick – the holy mountain where St. Patrick is said to have fasted for 40 days and 40 nights (and driven the snakes from Ireland – figuratively speaking). You’ll also visit the Coffin Ship Famine Memorial sculpture and the enchanting ruins of Murrisk Abbey. Then you’ll have the afternoon free to explore the beautiful town of Westport. 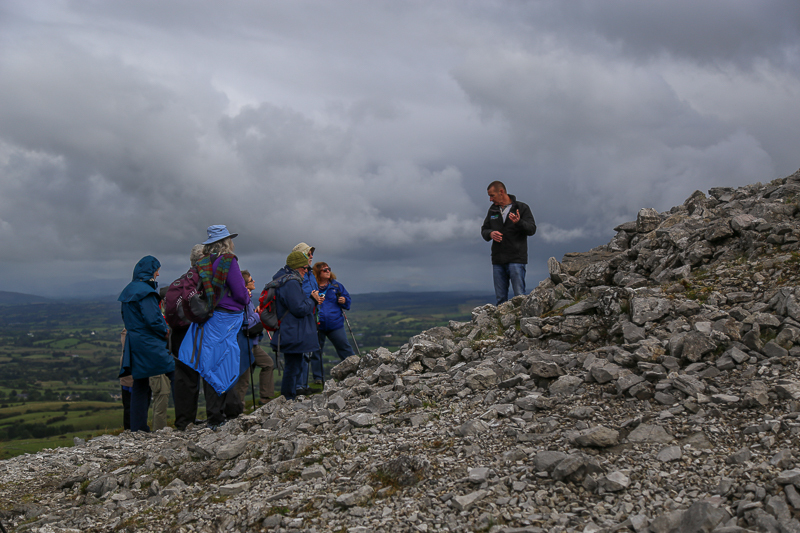 Enjoy a day of touring with Michael Gibbons, one of Ireland’s leading field archaeologists. He is native of the Connemara region and will spend the day with our group touring one of the most mystical regions. We may visit Omey Island or the remnants of a twelve-thousand-year-old forest. Michael will captivate you with his stories, his knowledge and his sincerity. This will be a day you will never forget. Then we’ll head to Galway City and check into our hotel. Enjoy your day on your own – free to wander around one of the most beautiful cities in Ireland. Tour the Burren – a vast, ancient limestone region that resembles a moonscape. Explore some ancient ruins, visit the Poulnabrone dolmen and then head south for Dingle. If there’s time we’ll stop at the Well of the Wethers, a holy well said to be the place where St. Brendan the Navigator was baptized by St. Ita whose grave is memorialized there. Then off to Dingle and a ride around Slea Head, one of the most scenic drives in all of Europe. Start the day off by meeting two local guides who are experts in Dingle’s history, archaeology and pilgrim paths. Claire Galvin and Kevin O’Shea will guide you on several walking tours where you will see ancient stones, monastic ruins and the old pilgrim road that ends at Mount Brandon. Then enjoy an awesome Saturday night in Dingle – the town famous for Irish traditional music. Guest will leave Dingle in the morning and stop at beautiful Inch Beach for a break. This is one of Ireland’s most well-known, Blue flag beaches. Then head out for County Limerick with a stop in the gorgeous town of Adare for lunch. The explore Lough Gur, one of Ireland’s most legendary and enchanted lakes followed by a visit to the Grange stone circle – Ireland’s largest stone circle. Then on to the hotel in Limerick City and a farewell dinner at the hotel. Day 12 – MONDAY – May 30th – Farewell! Guests depart hotel for Shannon Airport. What’s Included in the Western Edges Tour?